The Real Estate Department is responsible for maintaining ownership and assessment records for all real property in Henry County. Transfer of ownership is updated from deeds, wills and other related documents recorded in the Henry County Circuit Court Clerk’s office. Tax maps showing a basic outline of each parcel of land in the county are maintained and updated from surveys recorded and splits by deeds. A Real Estate Land Book is created each year of all land records and taxes. Our land books, ownership assessment records and tax maps are available to the public. We also offer a computer terminal for use in our office or you may obtain this information on from the County GIS website. All requests for copies of assessment records or any related assessment information must be sent to realestate@co.henry.va.us. Your request will be answered the same day in a timely manner in the order which they are received. 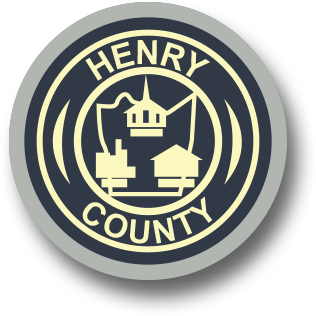 The Land Use Program for Henry County is administered under the Commissioner of Revenue’s office. Under this program qualifying land receives a lower assessment than the fair market assessment. The difference in tax amount is referred to as a deferment. Our County land use ordinance adopted agricultural and horticultural use for land devoted to production of crops, livestock, pasture or horticultural products. A minimum of five acres or more is required in production to qualify. One acre is excluded for the house site if a dwelling is located on the property. Up to nineteen acres of timber (wooded) land will qualify if there is five acres in agricultural or horticultural on the same parcel. The minimum acreage requirements can be determined by adding together contiguous tracts. Recorded subdivision lots cannot be combined to meet minimum acreage requirements. A separate application must be filed for each tract on the tax records. There is an application fee of $10 for each new application and applications must be filed by November 1st of the preceding year in which taxes are sought. Our ordinance requires annual revalidation of each application. Revalidation Forms will be mailed to you for your review to list any changes from the previous year. Taxes for the prior year must be paid by June 1 of the current year or the parcel will be removed from the program and taxed at fair market value. Roll back taxes may occur when landowner transfers or sells less than the minimum acreage requirement or leaves the remaining land with not enough acreage to qualify. If the landowner makes any changes in the size or use of tracts in the land use program, they must report the changes to the Commissioner of the Revenue office within 60 days. When the land changes to a non-qualifying use, the property is subject to a roll-back tax. The amount of roll back taxes is the difference between land use value and the fair market value for up to six years plus penalty and interest. The roll back is assessed against the person who changes the use to a non-qualifying use. If your property is enrolled in a Conservation Easement under the Virginia Land Conservation Incentives Act of 1999 VA Code 58.1-510-513 thru The Virginia Outdoors Foundation, you are eligible to qualify under the Land Use Program. The deed for the Conservation Easement must be filed in the County Circuit Court Clerk’s office. The Commissioner of the Revenue’s office should be notified when the conservation easement deed is recorded in order to file a land use application for the parcels in the easement. There are no fees or roll back taxes on conservation easements or minimum acreage requirements.